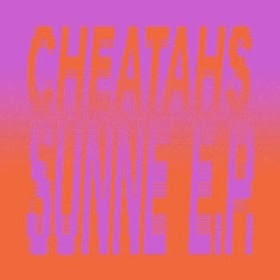 Their first release since their self titled debut LP, Cheetahs return with a glorious extended player, featuring 4 new songs. Title track Sunne is a delightfully upbeat opening, reminiscent of Honey Power, a classic My Bloody Valentine B-side. Campus continues in the same vein and is awash with feedback, swirling guitars and a pounding,frantic drumbeat. Controller is a mellower track than the previous two. No Drones completes the EP and the pace is increased again. It's like a beefed up Like A Daydream. The Sunne EP is a fine follow up to the debut LP from last year. Cheatahs have retained their love of melody, feedback and pop. They deliver all of this again here on an EP with some fine production. Cheatah's website can be found here. They are also on Facebook and Twitter.